The conversation around how technology can enhance education can be a controversial topic, and that carries over into the tutoring industry as well. Virtual tools and course work that “replace” the individual tutors are introduced to the market constantly; making tech a complex subject to navigate in the tutoring industry—one that can sometimes raise more questions than answers. This week is National Tutoring Week: a decade old celebration of how important Tutors are to students’ education. There is no better time than now to reflect on the ways tutors can leverage technology to enhance and scale their tutoring business. Here at Clark, we believe in the continued power and importance of one-one-one instruction and know that to achieve the greatest student outcomes, tutors must be here to stay. Technology is however a key component of modern tutoring and we are here to answer the question: How can technology help tutors? Between apps, computer programs, and artificial intelligence, there’s no shortage of technological tools out there for educators to choose from. Here’s a look at some of the leading programs and tools that you may want to leverage to enhance your tutoring sessions. Running a successful business and being a great educator are often at odds with one another. In order to deliver the best instruction a tutor can, it is best to leave the day to day management of your business to someone else. By spending less time on administrative work, tutors are able to teach more hours and focus on producing better student outcomes, while also appearing more professional in the eyes of their clientele. 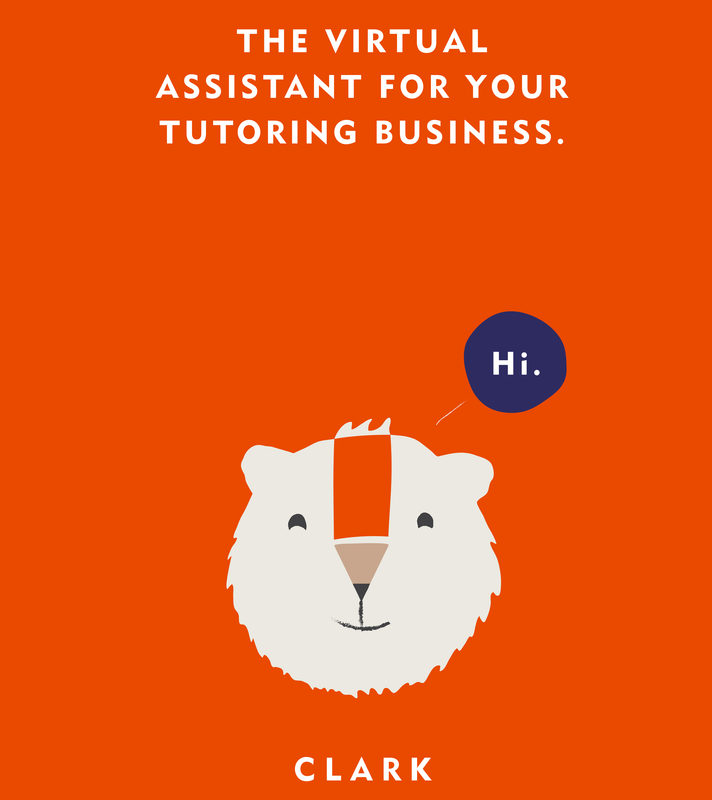 More than just software for tutors, Clark simplifies the logistics around tutoring sessions for parents and students. Plus, through our web portal, parents are able to take an active role in their child’s education without having to ask for updates. Clark is the best way for parents to stay involved outside the classroom for the entirety of a student’s tutoring engagement. Trello. Trello is a free and easy-to-use tool that students can use to create workflow charts and keep track of tasks. Multiple students can be added to the same board, making it ideal for collaboration on projects. Google Calendar. Getting your student in the habit of using their Google Calendar to write down important test dates and assignment due dates is also a helpful management trick. Notification features for each calendar entry can remind students multiple days in advance of a looming deadline. The calendar can also be shared with you and is a great way to visually review where your tutoring sessions line up in comparison to important in-classroom due dates. Asana. Asana has project management features built for any team’s projects, workflows, and goals. This is a great tool to recommend to a student who has group projects with other students at school. It can be hard for a tutor to play a role in a group project since they can’t speak to the input of the other students, but advocating for a universal group tool can help your student manage their time more smoothly. Virtual Tutoring. Live video platforms make it possible for tutors to take all of their business online. Anyone with an internet connection can interact, making location irrelevant and allowing tutors to drastically expand their client base with the right marketing strategy. They also eliminate commuting, saving on transportation costs, and time. Session Consistency. Tutors who meet with clients in person often feel that the connection is strongest and the student is most focused when together one-on-one. They also know that regular sessions aren’t always possible. Vacations, illnesses, or transportation obstacles can all derail scheduled in-person sessions. In these situations, live video platforms can essentially eliminate cancellations by allowing you to connect with your student wherever they are. Taking sessions online can keep your work consistent, which is often considered the most important element in a successful tutoring relationship. Supplemental Communication. If a student is struggling with a topic or simply has questions they need answered between sessions, it’s simple to set up a quick inter-session meeting via video conference. The additional communication with your student can greatly improve your time spent together as you’ll spend less of the session straightening out kinks and more time moving forward with the material. Download Skype, follow the prompts to create an account, and sign in. From the navigation menu, select “Contacts,” and then add your student’s username. To call your student, click the phone book icon in the Skype window and select the video camera icon when hovering over their name. Select the “+” symbol, type in your student’s Gmail address, and click on it to bring up the Hangouts window. After inviting your student to Hangouts, click on the video camera icon from the chat window to begin your video session (you can also automatically create a Google Hangouts video link by sending a Google calendar invitation to your student. The video link will populate in the event details section of the invitation). Send work in advance of sessions. Getting assignments to students in advance will make your online sessions more efficient. By having them work on problems prior to your meeting, you can jump right to the difficulties a student came up against rather than spending in-session minutes working on problems, a task that can lead to lost focus and wasted time. Require students to show their work. While technology and the internet make it much easier to communicate with students, having these resources at their fingertips also makes it easier for students to find answers without doing their own work. By asking students to show all of their work, you can rest assured that they are completing assignments on their own. Review answers aloud. To take it one step further than simply showing work, talk through answers aloud, having students explain their process and how they reached the solution to a given problem. This will help you identify any obstacles or missed shortcuts, and will further confirm that the student completed the work without any technological help. A nonprofit academic organization, Khan Academy was created to provide free, high-caliber educational tools to everyone. Their content can all be found online, mostly in the form of lectures, lessons, and even full courses covering an enormous variety of subject matter. Through Khan Academy, anyone can find educational tools in topics such as math, art, computer programming, economics, and physical sciences. Tutors note that parents often ask about Khan Academy and wonder whether their child should be using their content. At first glance, the amount of content from top-of-the-line educators might seem to indicate that Khan Academy could take the place of tutors, but this isn’t the case. In reality, this type of technology can be an excellent supplement to your sessions—not a replacement. The founder of Khan Academy echoed this sentiment in a TEDtalk, explaining that their content should be leveraged by educators to introduce topics, incorporate multimedia, and engage with students. He believes the program should be used as a complement to teaching, providing a unique enhancement to the standard lesson plan. Topic Reinforcement. Watching videos with your students can be helpful if you’re looking to reinforce material you are working on in your sessions. Content is customized by grade level, so you can select the appropriate degree of difficulty. For example: Say you’re working with an elementary school student on addition and subtraction of mixed numbers with like denominators. Khan Academy features a commoncore section that lets you filter content by standard, function, and grade level. A video explanation is produced that students can watch between tutoring sessions to reinforce your in-session work. Session Preparation. Assigning a video or two between sessions can help your student prepare for upcoming material by familiarizing them with the subject. They can note areas they had trouble understanding in advance of your next session, resulting in more efficient time spent together. Subject Review. For students who are falling behind or need additional review outside of your sessions, assigning Khan Academy videos can help students better understand the material. SAT Preparation. Because Khan Academy partnered with College Board to create free and open SAT prep materials, they are a great resource for practice problems. Questions about how to get started with CLARK? Check out our website, email us at clark@hiclark.com or send us a message in the app.